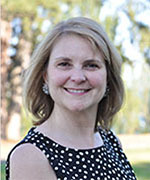 Dr. Danette Glassy is a Pediatrician in Mercer Island, Washington and is affiliated with multiple hospitals in the area, including Mercer Island Pediatrics, Overlake Medical Center, and Seattle Children’s Hospital. She received her medical degree from University Of Washington School Of Medicine and has been in practice for more than 20 years. She is one of 94 doctors at Overlake Medical Center and one of 365 at Seattle Children’s Hospital who specialize in pediatrics.